The Peoria PlayHouse Children’s Museum turned one year old last week. Amidst the birthday celebrations and thank you emails, I have been reflecting on the question: What did I learn from my first year as a museum director? What did we learn from the first year of operation of a new museum? I came up with three answers. All of them may evoke a “well, duh!” response from some or all of my readers. They are all things that I may have intellectually known already, but which I now understand viscerally. When someone has a good idea for a program, exhibit, or resource, I get really excited. I want to make it happen NOW! But it turns out, too much is just too much. One of the problems with taking on too much is that it’s hard to backtrack. I just lost an AmeriCorps position because of the Illinois State budget (or lack thereof), and that position managed two programs that I refuse to give up. I am confident that can find a way to offer scaled-back versions of the programs. But this would certainly be easier if we hadn’t launched so many programs in our first year. At the Association of Children’s Museums conference I joined a break-out group discussing time management. I was very interested in the decision-making tools colleagues shared. One tool, from the Mid-Hudson Children’s Museum, was a great list of questions to ask when considering whether to move forward with a program or project. 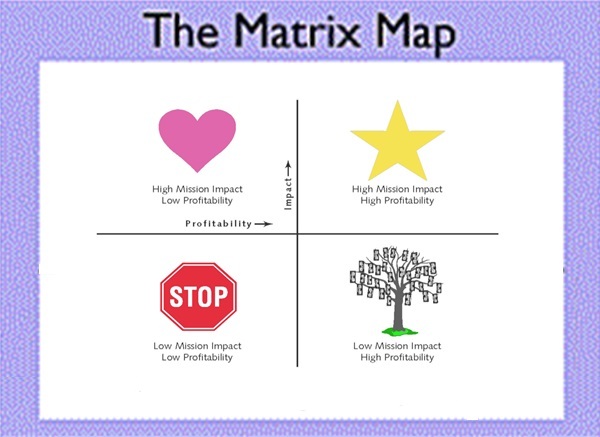 Another suggestion was to rate ideas on a “mission/margin” matrix. A third was to provide staff with tools to calculate both direct and indirect costs of a program, as the indirect costs often negate the income value staff assume a program offers. I’m excited to try these tools, but not yet sure of their use. It may be that I just need to go “cold-turkey” for a while and put a freeze on new programs. Because while I know that too much is just too much, great ideas are still so exciting! The biggest learning-curve in my current role as a museum director has been fundraising. With the help of some wonderful mentors, I quickly learned that development is all about relationship-building. 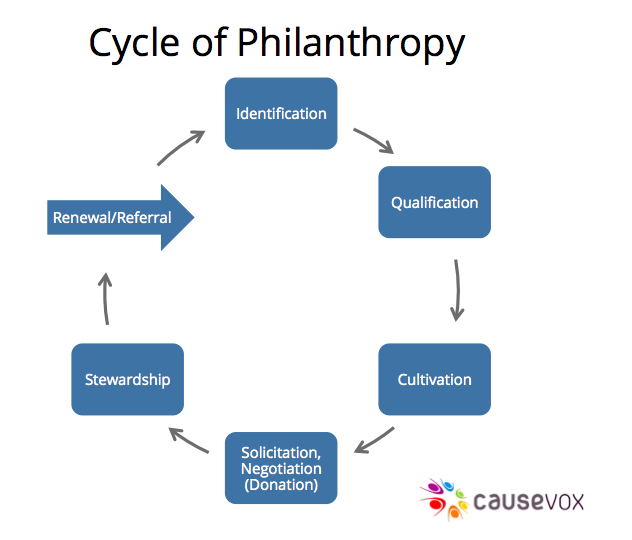 That once you identify potential donors, you need to take the time to cultivate – to get to know them, to figure out what about the museum might excite them, to learn enough about them that you can reference personal knowledge in a letter or email. As I was learning this, it occurred to me that everything is about relationship building – and that is both wonderful and exhausting. Managing staff is about relationships – getting to know each of your staff members, and finding out what excites them about the museum, and what skills they have that can support current and future initiatives. We also need to build relationships with collaborators and potential collaborators – people and organizations who can we call on to help us let low-income families know that they can access the museum for free, or to help us plan special nights for children with special needs. Each relationship takes time, and at some point, you have to delegate areas of relationship-building. But knowing what it takes to foster and maintain those relationships has been helpful to me in thinking about staff strengths, understanding how people spend their time, and why good management is so difficult. Also, the importance of relationship-building, and the time it takes, leads me back to #1, above. I have always known that leadership is important. But I have been far enough away from leadership transitions to see how these transitions impact the direction of an organization. The PlayHouse is part of the Peoria Park District. The Executive Director of the Park District just retired after 24 years in that position. In this moment of transition I have the opportunity to see how her choices, personality, and leadership style shaped the organization, and how another leader will make different choices that create both intentional and unintentional changes. Being witness to that transition has inspired me to think about my own role as a leader, in shaping the PlayHouse. I am very focused on the museum’s mission – which I was fortunate to have the opportunity to articulate – of helping visitors become explorers and creators of the world. I take this very seriously, and can be very hard on staff when I don’t think that they are keeping this mission in mind. I am proud of this focus, but recognize that this is a very personal approach, and might not be the way someone else would approach this role. 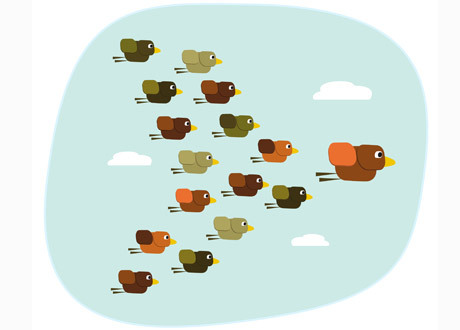 The impact of an individual on an organization make me wonder about succession planning, at least at the top levels, and whether it is possible to have continuity in an institution over time and across leaders. I have always thought of a leader’s job as sustaining an institution, but now I wonder if all institutions are radically unstable, bound to change as leadership changes. In the coming year I hope that these new understandings will help me build an ever-stronger and more vibrant museum. I would be very curious to hear from others in leadership positions, and/or at new institutions – what have you have learned in the first years of your work? I found a link to your blog “Museum Questions” several months ago and now look forward to receiving and reading your posts. I am writing to introduce myself and the museum I am in the process of creating. I purchased a property in the heart of historic downtown Salida, Colorado something over 3 years ago, gutted the existing buildings, and am in the process of renovating them. I hope to open on a small scale in the 300 sq-ft annex sometime later this year, then restore the 1050 sq ft main building as funds become available. Currently I am exploring the advantages/disadvantages of the for-profit and non-profit alternatives. I took particular interest in your article about the car museum in Indiana [Illinois ?]. I am creating a very personal small museum/residence. As a writer and a visual artist, I have expressed myself in word and on paper. I see the Museum of Authenticity as an opportunity to express myself in 3-dimension—a way to harmonize the various dimensions of my rich and rewarding life. I intend the Museum to be my legacy. I own the buildings and what will be the core collection. I have articulated my mission in a statement and, collections aside, I am becoming increasingly clear about how this small Museum will be distinctive. I am working with Denver’s Small Business Development Center. I look forward to setting up a Museum website and blog! [I have written several posts about the Museum in my existing blog]. Thank you for your posts. Thanks for your time. Perhaps this exchange will evolve into a dialogue between us. Rebecca, congratulations on your first anniversary and the first anniversary of the Peoria Playhouse. You have highlighted three really solid lessons, valuable for most of us and relevant to many contexts. I hope you know Anne Ackerson’s blog, Leading by Design (http://leadingbydesign.blogspot.com/) which is consistently thoughtful and helpful. The latest issue of Hand To Hand on Succession takes an interesting slice through the topic of leadership. As to relationship building, relationships are a museum value (https://museumnotes.blogspot.com/2011/08/relationships-as-museum-value.html). But I think your first lesson, don’t take on too much, is the hardest of all and a challenge across the field. It’s hard to distinguish between doing too much and knowing the right things that need to be done. Wishing you a great year ahead. Thank you, Jeanne! I was not familiar with Anne Ackerson’s blog, and am grateful to be introduced to it. And thank you for reminding me about your post on relationships as a museum value! Something else occurred to me about challenge of taking on too much. This is something I see many museums deal with–or often don’t deal with until something external like a budget crunch requires drastic pruning. I explored this in Questions at Work (https://museumnotes.blogspot.com/2011/01/questions-at-work.html). The question, what can this attractive opportunity accomplish–that needs to be accomplished–that this other accomplish cannot? helps make some useful distinctions apparent and serves as a tool for managing the growth, and ultimately the quality, of programs, projects, initiatives.